Zoology is a field within the biological sciences that is dedicated to the study of animals. Students learn how animals evolved, comparing their physiological, anatomical and behavioral adaptions, from tiny unicellular protista to terrestrial and marine birds and mammals. The B.A. in zoology is designed as a flexible program, allowing students to pursue an interdisciplinary or dual major to pursue careers in fields such as education or public relations. Why study zoology at UNH? Learning zoology at UNH is enhanced by easy access to ocean, lake and mountain habitats. Our programs emphasize hands-on learning and directly engage undergraduate students in research. Our faculty are experts in a wide range of disciplines, including freshwater, estuarine and marine biology, aquaculture, physiology, neurobiology and behavior, and welcome undergraduate students into their labs. Students also have opportunities to work in numerous research facilities, including the Anadromous Fish and Aquatic Invertebrate Research Laboratory, the Aquaculture Research Center, the Chase Ocean Engineering Laboratory, Jackson Estuarine Laboratory, the Judd Gregg Marine Research Complex and the Shoals Marine Laboratory. Built upon the common background of the biology core curriculum, the Batchelor of Arts (B.A.) in Zoology is designed for students to create an interdisciplinary or dual major, particularly if they want to pursue public relations, teaching, or other careers in combination with a liberal arts background. Students have more flexibility when choosing courses from the biology core and may enter this program as freshmen or transfer in from other liberal arts or science programs. Students must fulfill a foreign language requirement in lieu of one advanced elective. 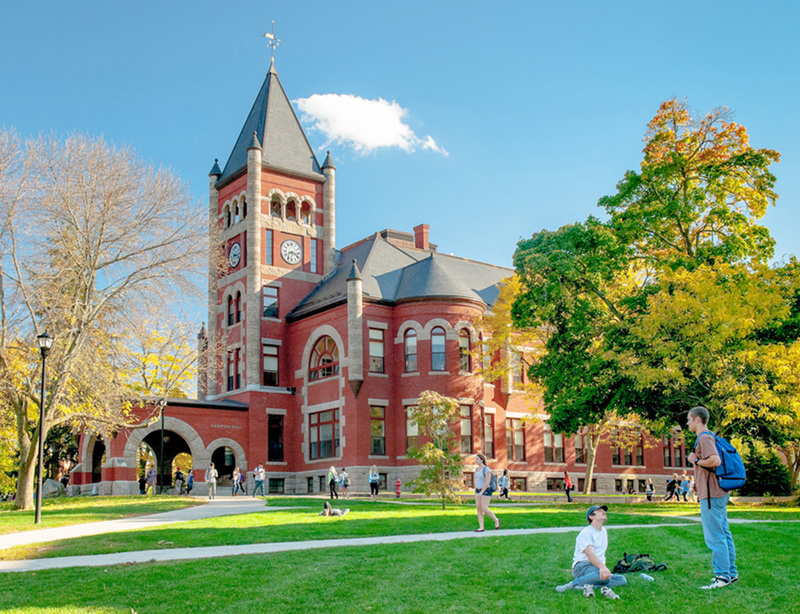 The bachelor's degree in zoology is one of the specialized curricula recognized by the New England Board of Higher Education and participates in the New England Regional Student Program. 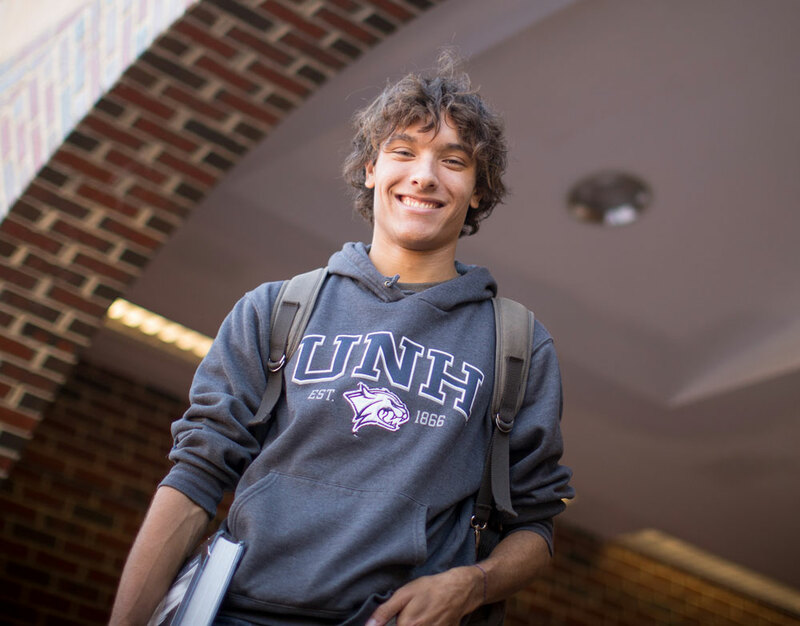 Under this program, students from the state of Massachusetts pay the UNH in-state tuition rate plus 75 percent. Students must complete a Capstone during their senior year. Students should consult with their advisor to determine coursework that may satisfy this requirement. Biological Sciences Electives (Biology, Zoology, BMS, BMCB, Genetics, and Natural Resources) can be used to satisfy elective requirements. The Capstone must be taken during the senior year, or after 90 credits have been taken.